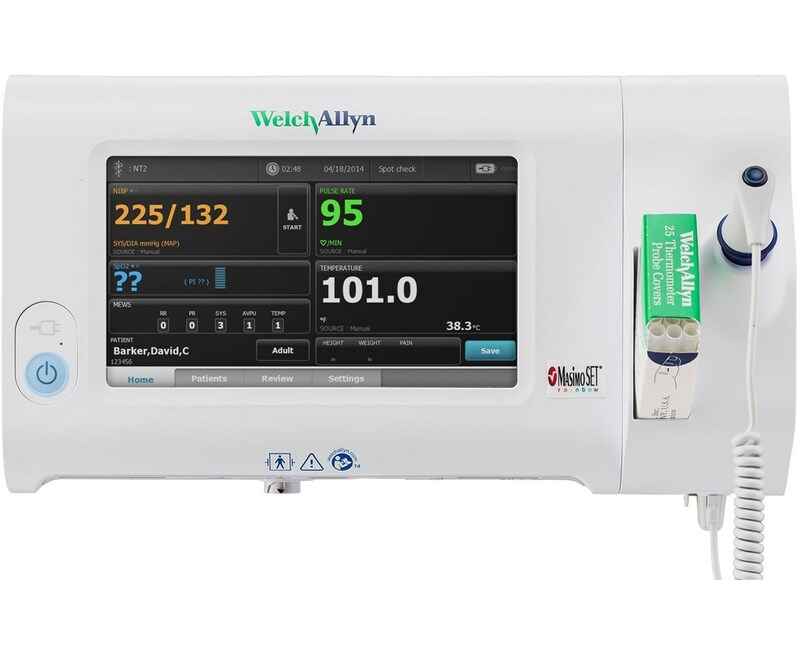 The Welch Allyn Spot Vital Signs Lxi device offers a variety of parameters and options and is customizable to each facility's needs. The LXi simplifies collection and analyzation of vital signs data for efficient and manageable processing. 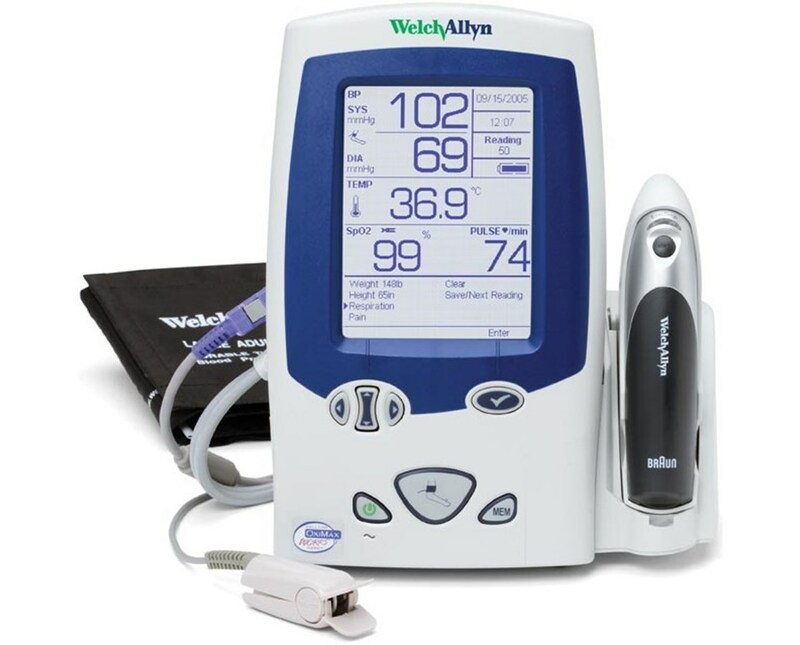 This devices includes NIBP, and options for thermometry and oximetry. Advanced Technology: The device features a 50-reading recall, allowing previously collected data to be retrieved for review, analysis, print and download. The highly advanced monitor also provides descriptive error messages with solutions. The LXi device provides BMI calculations by inputting weight and height. Respiratory / Respiration rate and pain level may also be recorded for a comprehensive review. 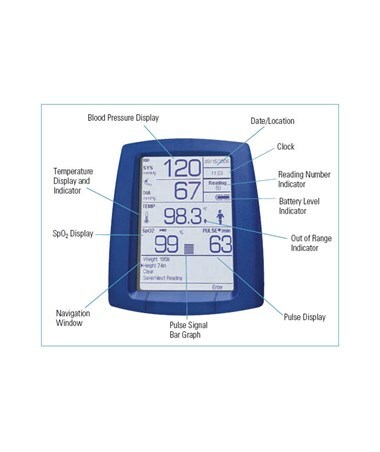 Connectivity: The Spot Vital Signs monitor may be connected to the main EHR system, which both reduces chances of human error and streamlines the diagnostic process. The monitor can be connected to select Health o meter or Tanita® digital scales for additional patient information. The Spot Vital Signs comes standard with an Automated Noninvasive Blood Pressure unit using the oscillometric technology. 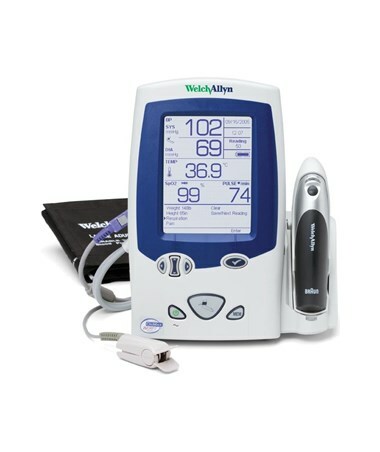 When complete, the Spot LXi will display systolic, diastolic and pulse rate measurements. MAP (Mean Arterial Pressure) will be shown if enabled in the Internal Configuration Mode. Measurements are received in up to 15 seconds. There are two options for the LXi thermometry. The SureTemp Plus thermometer may be used for oral, axillary or rectal modes, and takes temperature in either Normal or Monitor Mode. Measurements are received in up to 13 seconds. The SureTemp includes an Oral Probe and 25 probe covers. The Braun ThermoScan PRO 4000 Ear Thermometer takes ear temperature. Measurements may be viewed in Celsius and Fahrenheit. Spo2 measures the oxygen level in the blood stream. This feature you will provide a continuous pulse rate reading vs. a onetime pulse rate reading the standard BP option provides. The Spot Vital Signs may be configured with the latest pulse oximetry technology from Masimo or Covidien/Nellcor for accurate SpO2 and pulse rate readings. 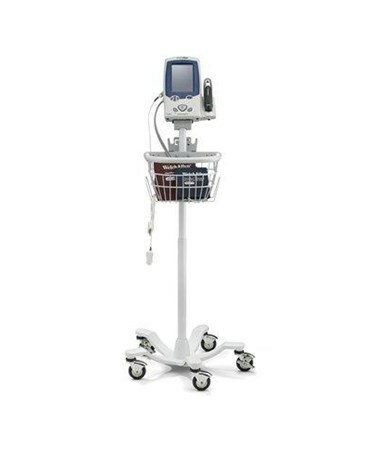 Despite their similar specifications and costs, Masimo offers higher levels of accuracy and reliability than Covidien/Nellcor in circumstances where there is unstable patient finger movement. Please review the options and select you preference from the drop down menu above.